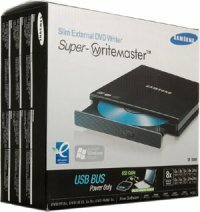 Samsung has released a new external DVD writer in the market, the SE-S084B series. This is a tray-type DVD writer that comes in seven color choices, and was specially designed to meet market demand for external DVDs particularly for lacking laptop requirements that need the assistance of backing up files and making more space for files. The SE-S084B series uses a solitary interconnect cable for both data transmission and power supply, and weighs less than 0.4kg for easy transportation. It also adopts a lead-free soldering technology to further reduce the carbon footprint while making it safer to dispose of a few years down the road. With this new release, expect other storage solutions to follow. We have seen a lot of them in the market today but until now, the marketability and feasibility of turning to external drives has not been realized until now. With larger files and embedded storage space on the PC or the usual notebooks, these external writers are not being groomed as the solution to address the said needs. You can pick up the SE-S084B series in a 8X DVD+R and DVD-R writer, a 6X DVD+R and -R Dual Layer writer, and a 5X DVD-RAM writer models, with each of them retailing for $79.99. December is here and for the computer geeks, the season for buying is at hand. This could go as far as getting a new computer package or perhaps upgrading or adding certain peripherals to your current setup. Making a Christmas wish list is apparent and among the things needed would vary, depending on how geeky you can get. The best thing about it is that price drops are sure to be in demand as most companies are inclined to clean up their inventory, a familiar practice of businesses once the year draws to a close. Here are some potential things you may want to buy. New Video Card. Price drops as far as video cards with higher DDR ram are bound to be offered anywhere. 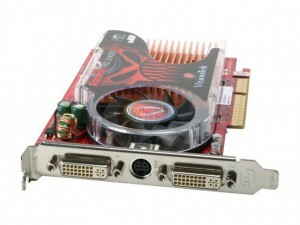 While many would not care as long as their computer operates fine with any video card compatible with it, upgrading for a few bucks would not hurt. Also, consider the fact that higher specs of video cards are coming out and with that in mind, cheaper video cards with good DDR rams like 256 RAM and a TV out option can be a great addition to your computer for better graphics showcase. DVD writer. We have seen a lot of optical storage devices gainin popularity and rather than rely on your old CD writer, why not add or upgrade a DVD writer for higher capacity and perhaps DVD authoring if you fancy it. They have considerably become cheaper and while many would be fine with the CD writer that they have, remember that DVD writers can store as much as 4 gigabytes if you get one. It is quite surprising at how fast the rate of price drops as far as computer peripherals today occur. Some months back, internal DVD writers cost somewhere in the vicinity of $50 to get. Now they cost practically half the price and by all means they are brand new. There are also external DVD writers that are getting much rant today and they cost around $75 in the store. Between an internal and external DVD writer, unless you need it for mobile plugging purposes, it would be best to get the internal DVD writer if you will just use it for burning on your PC. There are others who want external DVD writers so that they can plug it on multiple PCs or perhaps their laptop. There is really no configuration needed as they are USB based and plug-and-play. Rather than getting each PC their own DVD writer, sharing one is not only economical but convenient as well since you can remove it and just plug it in only when needed. The cost is variant. Internal writers are stocked on one workstation only and unless you hate opening up your CPU, internal DVD writers only take a one time installation. 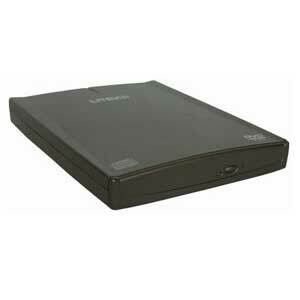 There are no drivers required as well as Windows often recognized these optical drives instantly once booted up. So between the two DVD writers, it all boils down to purpose and budget. Besides, if an internal DVD writer could go as low as 50% of its original price, imagine after some months how much an external DVD writer would cost?